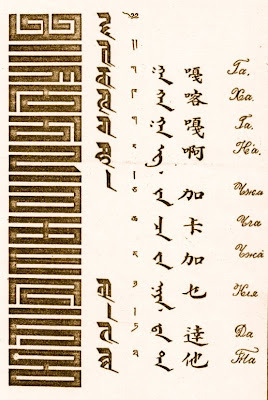 The special Seal script called Phags-pa or horyig in Tibetan, was created at the time of the great Mongolian Emperor Kublai Khan, who ruled during the 13th century, over China, Mongolia, Tibet, to the North into Russia and south to the borders of Burma and Vietnam. 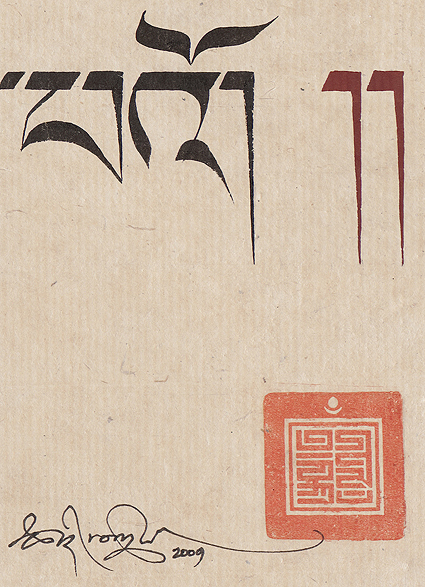 The Emperor seeing a uniformed script was needed across his vast kingdom, issued the standardisation of this script by the learned Phagpa Lodro Gyalsten, who in 1268 devised the namely Phags-pa script. 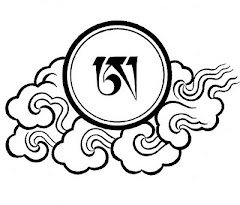 The use of Phags-pa was short lived as a universal written language, however its use lived on as a popular seal script in Tibet called horyig ཧོར་ཡིག this was developed as a 'modern' seal script style, which is not only easily translated from Tibetan, but also mimics the labyrinthine geomantic structure of popular Chinese seal script ideographs. 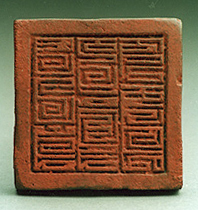 This seal script, which reads vertically, has a strong, commanding visual impression, which was not only traditionally used for official seals but as popular personal seals too. 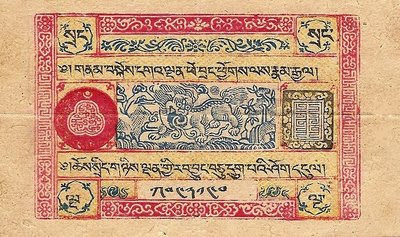 The distinct design of horyig was widely used in historical Tibet, as seen in the borders of this old Tibetan bank note below, also represented in the bankers black seal design within the note. 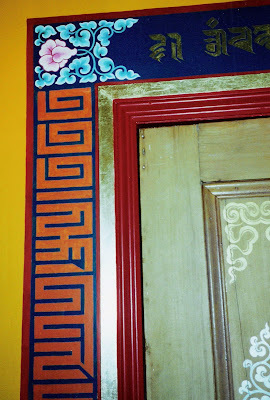 The horyig seal script mostly survived up until today adapted and used in Tibetan temple decoration, often flanking door-ways, as shown in the picture below, as well as decorating the walls and pillars as part of their elaborate interior design tradition. 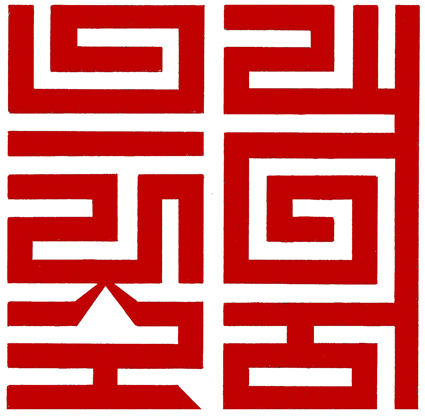 If you are interested to know that more about the horyig and Phags-pa scripts, Andrew West coordinates a very informative blog called BableStone. in the distinctive horyig script. 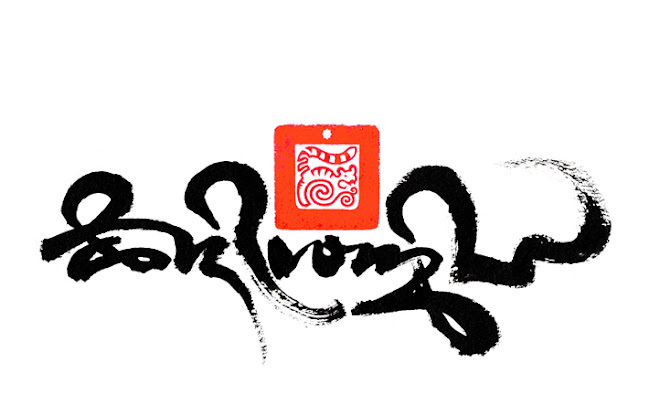 The art of seal design using the horyig seal script is almost none existent, less so are those who are skilled in hand-carving seals, called 'chop' in Chinese, which as an art form, has almost vanished across the far-East. 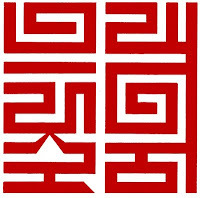 There are perhaps only a hand full of people in the world today who know the horyig seal script well enough to translate, let alone create and provide an attractive looking seal design, however none are known to carve the actual chop seals. Though seals may not be used so commonly to stamp documents, letters and artworks, as they have been historically. Such small simple but meaningful design equally lends well to an impressive logo, reproduced on business cards, letter heads and as an icon on the internet. Moreover, the angular look of the horyig style seems to sit comfortably in this digital age of modern design and iconography. A selection of modern seal designs of corporate and personal nature can be viewed here. If you would like to order your own personal seal bespoke designed, please follow the link here. A selection of chops, hand crafted by Tashi in various exotic hard-woods, these serve as a practical and attractive mount to fit an exact reduced replica of a seal design etched in rubber. The advantage of rubber is an easily printed and perfect impression.